So many exciting things happened during that year; our Integrated Plus project began in October, we took on the management of Brierley Hill Civic Hall in February and we helped develop Working Together for Change. I could go on, but you can see for yourself by clicking the image, which will take you to our colourful report. You can navigate the report by clicking the tabs on the right hand side to find the stories, stats and infographics that interest you. I hope you enjoy it! If you don’t fancy reading the full report, we’ve made some handy pictures and videos for some of the contents. Here they are below. I hope you’ve learning something more about our work. 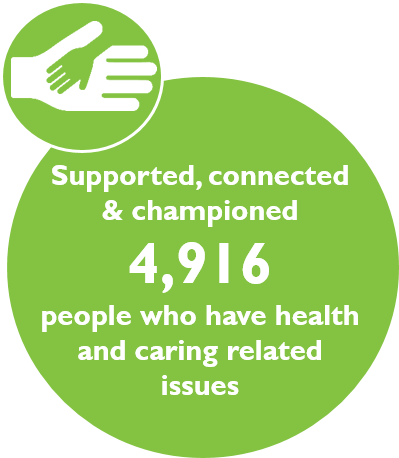 Please let us know what you think of our annual report – we’d love to hear from you! 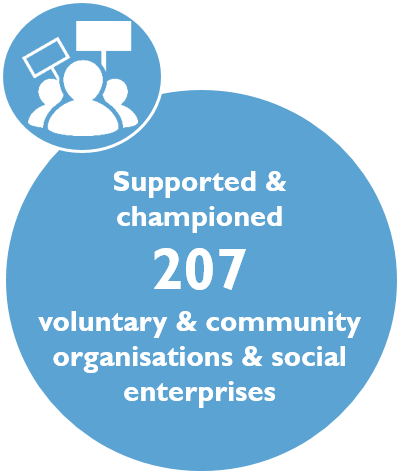 Proud to share the work of our amazing team of staff and volunteers over the last 12 months!